This 8-inch French Chef is a daily use item in our kitchen. 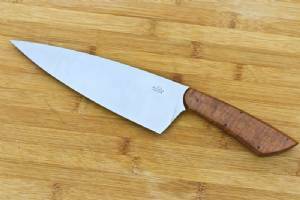 It's great for everything from cutting onions to slicing meat and is thin, light and wicked sharp. 2019 © Guinea Hog Forge.